If you are a resident of Canton, MA you've probably already heard of the Sharon Music Academy. You've listened to our students flute performance at your friend's home, school concert, public park or on local cable TV station. You've probably also read about our students' achievements and about our Academy in the Canton Journal, Boston Globe or online. The flute is one of the oldest musical instruments yet is still one of the most popular today. Flutes are part of the standard classical orchestral instrumentation, woodwinds and folk ensembles. 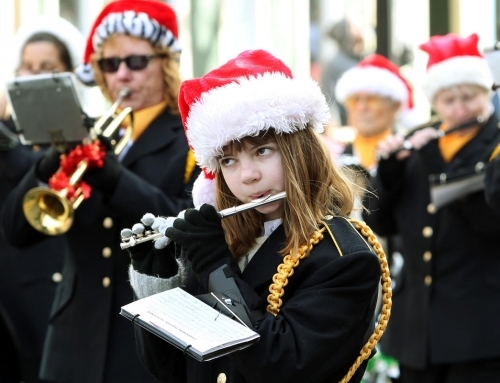 In recent years many non-classical musical styles, such as jazz, pop and rock and roll, have begun incorporating the flute into their ensembles. The flute is also a wonderful solo instrument and there are many very beautiful pieces of music written specifically for it. You can learn more about the flute’s history from Wikipedia. The lessons we provide are tailored to the needs of each student, his/her musical interests and objectives in music. We design practice routines for each student individually, exercising different areas of music (instrument technique, sound and intonation, rhythm, harmony, melody and form, improvisation, sight-reading, ear training, etc.). All lessons are taught by actively performing artists to make sure you learn from the best. Our instructors have many years of experience teaching children and adults, and they are passionate about passing on their skills to others. Whatever your goals are – to be the first Flute in a school band, audition for a jazz group or just to play for your family – we can help you. 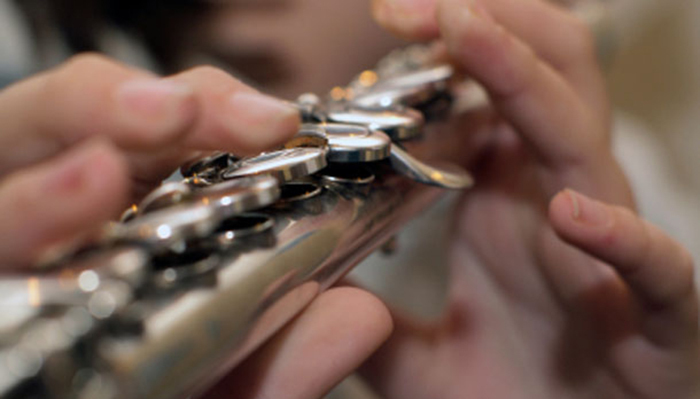 Register for flute lessons online or contact us if you have any questions. Q. At what age should I start to learn the flute? A. It is best to start at eight or nine when a child develops the lung capacity required to play properly. A recorder or fife would be a good instrument to play at a younger age as it helps develop musicality, is easier to make a sound out of and cheaper. Children who begin their studies with a recorder progress faster on the flute than those who don’t. Q. What type of flute should I start to learn on? A. It is easier for young kids to start on a C-flute with closed holes and an off-set G.
Q. My child plays flute in the school band. What are the benefits of “private lessons”? A. In many schools, band rehearsals are held as a big group lesson, with little to no focus on flute specifically or your child individually. In addition, the student is playing mostly in the second and third octaves so that they can be heard. Beautiful tone and vibrato are developed in the lowest register of the flute, which is not often used in band. Private lessons will, therefore, focus on your child’s learning, improve his or her abilities for band participation and expand the range of his or her flute mastery and repertoire. Q. Where can I get a flute?